Thankyou to those who donated some of there time to put a variety of native trees shrubs and grasses in the ground behind Earnest Grant Park and in Corrys Bushland. 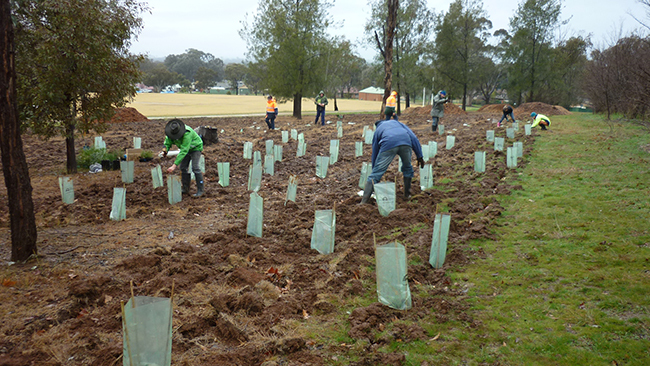 Around 300 plants were put in behind Earnest Grant Park football oval in very muddy conditions on Sunday August 2nd 2015 and a further 500 or so plants were put in within Corrys Bushland on Sunday August 9th 2015. Both of these planting will provide valuable habitat to native wildlife.